It must be summer. We’ve had torrential rain, the temperature has plummeted, winds have picked up and I’ve been hissed at by geese. 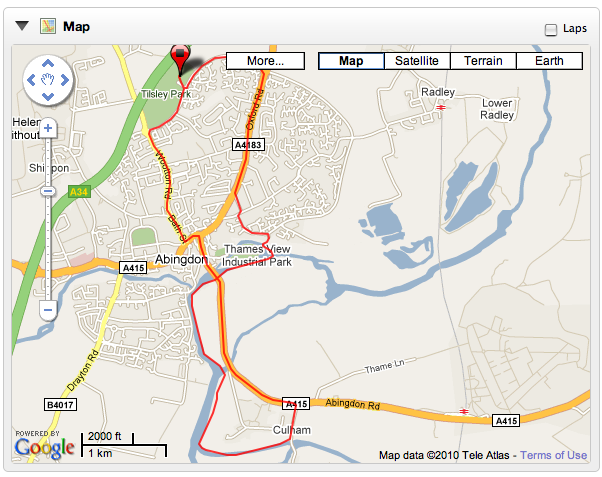 Today’s club run cut through Abingdon to follow the course of the river for a couple of miles. Despite an inauspicious start with the day looking quite grim, it was actually quite sunny come the evening. There was another fast runner in the group, so I had an impetus to maintain a decent pace. Consequently, my splits for the run were fairly even – varying between 3:55 and 4:15 km pace – which should be good practice for this year’s 10k season.